This week was as busy as ever. Right when I think things are calming down...something comes up. Between cheer, work, and everyday life, I have been just barely able to squeeze it all in. Not that I am glorifying being busy, it's just the season I am in right now. 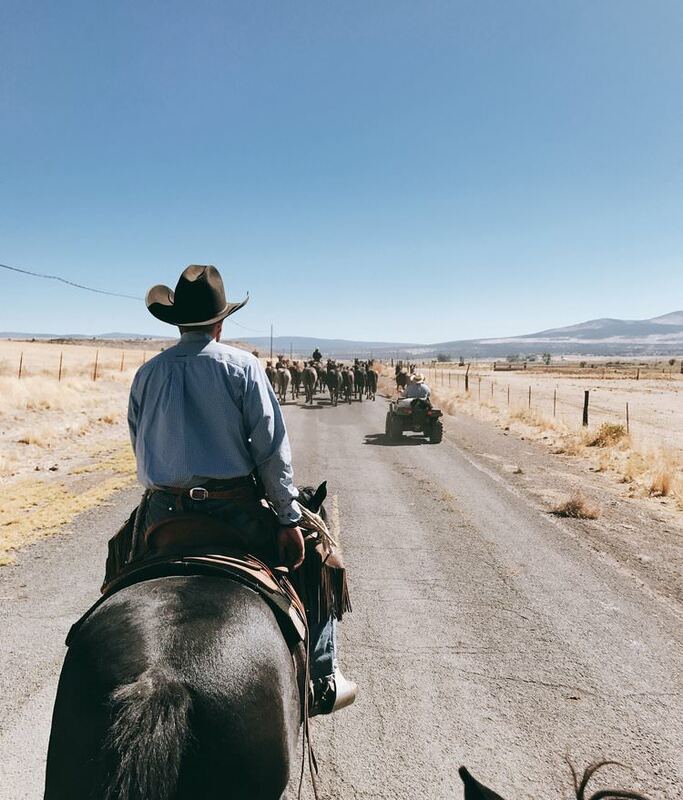 I didn't get to work on the ranch at all the week before last, and Greg knew I was itching to get out there, so I was happy when he called me Friday morning to see if I wanted to come help them move some cows near our house. I had so many emails to answer, and work to do, but I decided that spending a little time with him on a horse was going to take priority. We started to gather up the field right next to our house, and it was as if we had ordered the weather. There wasn't a wisp of wind, and the temperature was perfect. It was one of those days that you etch into your brain to remember down the road because it was so good. Once we gathered the field, we began to sort through the cattle and pull the bulls out. Before I understood what we were doing, I saw a few bulls the boys had left behind, and I pushed them back into the bunch only to realize they had left them on purpose. Luckily they were forgiving. I really enjoy sorting, and I was riding a great horse for the job, so we had lots of fun pulling the bulls out from the girls. When we finished sorting, we opened the gates to the freeway and pushed the cows onto the road. We held traffic for a bit as we got all of the cattle across, then began our short ride to their new field. Greg was riding in the back, and expected that I knew where we were leaving them since I was riding in the front...but I had no clue where we were supposed to take them. He started to tell me, "Don't let them get behind you!" Yet - they were already behind me because I was leading. I was so confused, and we had a quick lesson in communication, but I couldn't stay upset for too long. Moving cows can be full of that sort of thing ;). Once we dropped the cattle off, we decided to bring a small bunch of horses back with us. Emiliano had already gathered them for us, so we simply opened the gate and started our ride home. Galloping through a field chasing a bunch of horses is always so exhilarating and fun, it's truly an incredible experience. I was in a bit of a rush to get home because we had a game that evening, so I dropped my horse off and raced home to pack up to head to the school. This week I have been craving human interaction more than usual. I think after the tragedies in Las Vegas, Puerto Rico, Mexico, and Houston I was in need of love all around. I was grateful that one of my best friends, as well as my sister, were coming up for the weekend. We ate over candlelight, listened to good music, and played cards late into the night - it was perfect. A weekend with my girls, and closest friends was just what I needed. Throughout the week I have been really praying, asking God how to show people his love. I think the answer is to love others as God loves us. I think that comes in something as simple as a smile, a kind gesture, or loving someone through a tough time. As much time as I spend on the internet, I am going to be more intentional about the time I get to spend off the internet. I know I don't usually talk about this kind of "stuff" here, but this week, I think we all need a little extra love. Tomorrow, I am heading to North Carolina to visit High Point Market with Chateau Sonoma. I am thrilled to have the opportunity to go to this market because I have dreams of expanding my existing shop from stamps and prints to much larger pieces and a broader range of products. If you are interested in following along during the week, I will being sharing lots on Instagram. Thanks so much for stopping by today, I hope that you have a wonderful week, and I hope you have the opportunity to connect with friends and family.